Setting off into the wilderness for a few days with nothing but a backpack and a map, making a simple camp for the night along the way, can be a profoundly rewarding experience. Away from the stresses of daily life, there’s ample opportunity to slow down, connect with nature and revel in the exhilarating beauty of your surroundings. If you do it properly, you can camp almost anywhere you choose, too. Sounds intriguing? Here’s all you need to know. Laws around wild camping vary around the UK, so it’s best to do some research first. In Scotland, you’re allowed to camp on most unenclosed land, but there are a few exceptions (such as around parts of the western and eastern shores of Loch Lomond). 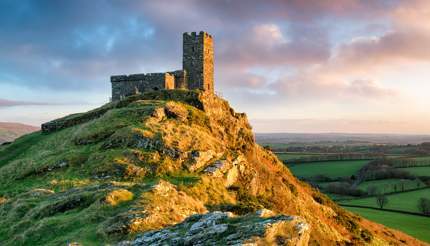 In England and Wales, you need to seek permission from the landowner first, although responsible wild camping is allowed in some areas, such as Dartmoor National Park and the Lake District. For the most part if you’re inconspicuous you’ll get away with it as you’re unlikely to even encounter anyone else. The central tenet of wild camping is respect for the environment, and this means making no impact on your surroundings. If you need to move any small rocks, put them back when you leave (or ideally, camp somewhere else). If you want a fire (using a stove is better), remove a square of turf to make a fire pit and fill it in again afterwards. Bring a hand trowel and bury all human waste, and make sure you’re more than 50m from a water source. Don’t bury toilet paper – take it with you. Be careful with food storage so you don’t attract animals. 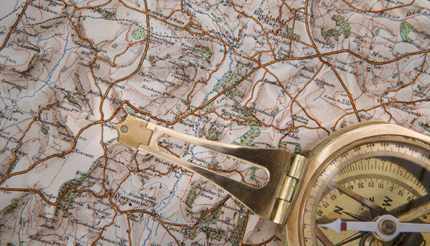 Ordnance Survey Explorer maps are on a scale of 1:25,000 and show landmarks, valley contours, rivers and roads, as well as footpaths, right of way, open access land and what vegetation is on that land. A mobile download is available too. It’s a good idea to camp near fresh water (make sure you boil it first unless you’re above the animal line). While another rule of wild camping is to pitch at the end of the day and pack up after sunrise, allow yourself enough daylight time to properly scope out the terrain – ideally, you want to be close to your walking route but away from the eyeline of any paths. The further north you go the more chance you’ve got of being tormented by midges – they can be a curse in Scotland in summer. Camping on higher ground or where there’s a slight breeze helps. The right kit is essential; be prepared for all weather eventualities. Essentials include a lightweight tent (or if you really want to get close to nature, a bivvy bag, a waterproof, breathable sack that protects the whole body from the elements and takes up less space), sleeping mat and sleeping bag, a single burner stove (there are dozens on the market: the Swedish Trangia is one of the best, and Primus is the most famous), Swiss Army knife, a head torch and a portable phone charger, plus mug, spoon, toothbrush and toilet paper. Clothing-wise, waterproof jacket and trousers, several pairs of socks, a hat and gloves are essential. Don’t forget to bring a decent amount of food (camping shops sell a wide range of dried foods and hi-tech meals that can be heated by simply adding cold water): staples should be bacon, bread, dried soup, fruit, chocolate, tea and/or coffee. It’s worth taking a few luxuries: a hipflask of whisky for a start. It’s probably a good idea to tell someone where you’re going and to bring a compass or GPS tracker. If you’d like to try wild camping out before you invest in expensive equipment, try a guided expedition. 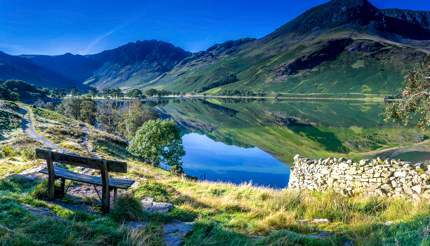 Team Walking will provide all you need and leads excursions in the Lake District and Snowdonia. 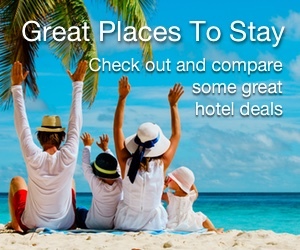 Once you’re in the swing of things, there are loads of forums online discussing destinations and offering advice. Expeditions into nature can be tools for transformation, too. Way of Nature, founded by the renowned ecologist and environmentalist John P. Milton, offers retreats lasting from a day to a week long, some involving solo stints, with the aim of sharing tools and practices in order to deepen our understanding of our place in nature. Dartmoor National Park is a great place for the novice, as wild camping is allowed almost everywhere (see this map for exceptions). Make sure you camp at least 100m from roads, and take note of the location of the three army firing ranges located here – they’re noisy, for starters. Fires are not allowed under any circumstances, and watch out for foxes that may be after your provisions. Don’t feed the wild ponies either. 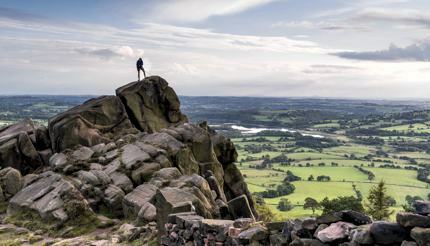 England’s most beautiful national park has long had a tradition of wild camping so it’s generally tolerated, provided campers don’t stay for more than one night, camp in small groups (no more than two tents) and select a spot above the highest fell wall. No fires are allowed. Remember most of the park is farmed by tenant farmers who don’t take kindly to gates being left open. Make sure you have a map as mobile phone signals don’t cover all areas. 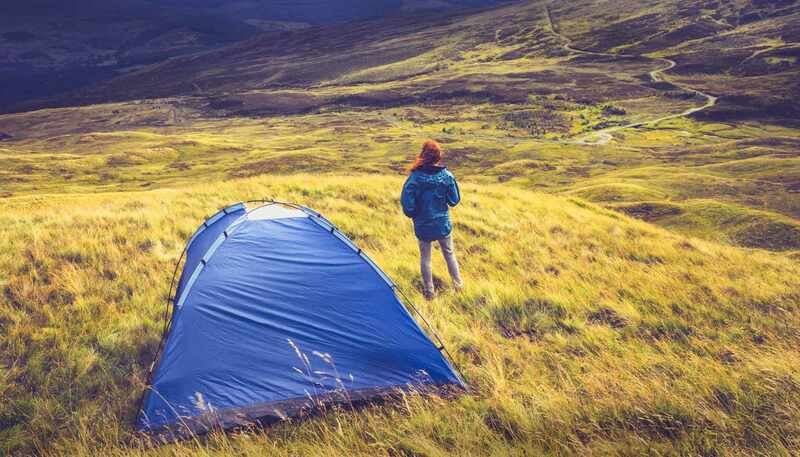 Scotland’s Land Reform Act of 2003 enshrined the right to camp pretty much everywhere in the country, providing simple guidelines are respected: don’t camp on enclosed or cultivated land, near houses or near sensitive historic sites. 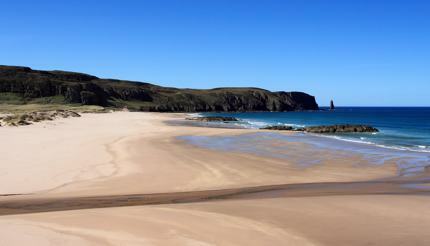 This means there are countless picturesque and truly remote spots to choose from– such as Sandwood Bay, which has a golden sand beach and grassy dunes on which to camp, or on the banks of Loch Nevis in remote Knoydart. Wild camping forums are a good source of insider tips. The Park District National Park does not allow camping, but if you obtain permission from the owner of privately owned land you should be okay. As ever, discretion is key, especially as the area is popular with hikers and rangers on weekends. There are a couple of grouse shooting cabins (Oyster Clough, Lower Small Clough) that can provide rudimentary shelter. 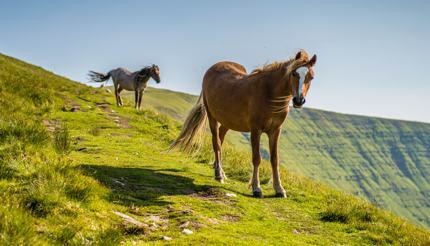 The Western end of the Brecon Beacons, the vast and wild mountain range in mid-Wales, is generally less crowded. As ever, make sure you’re not spotted and leave no trace and you’ll be ok. Alternatively, there are some farmers who will let you camp on their land for a small donation, and the added bonus is that you can light a fire. Further information is available here.